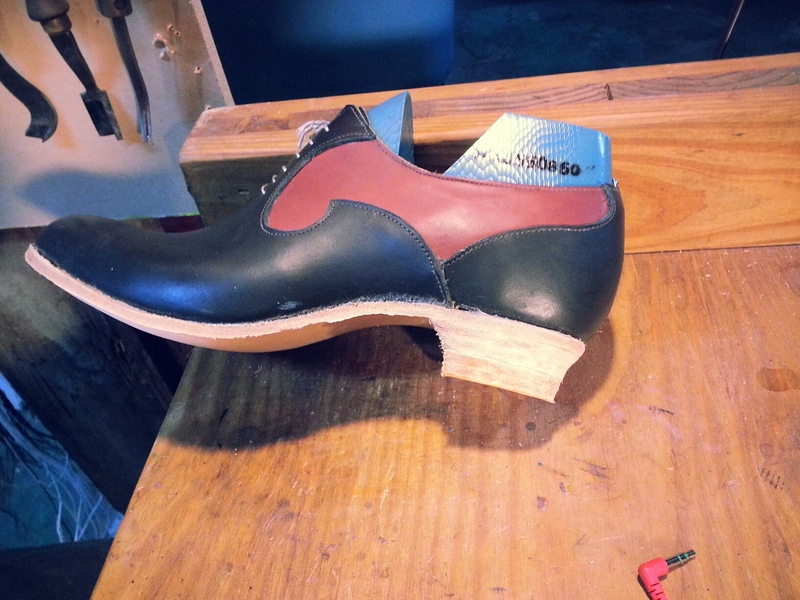 Before I make a final shoe I make trial fitters to test the fit, shape, and pattern of the shoe. 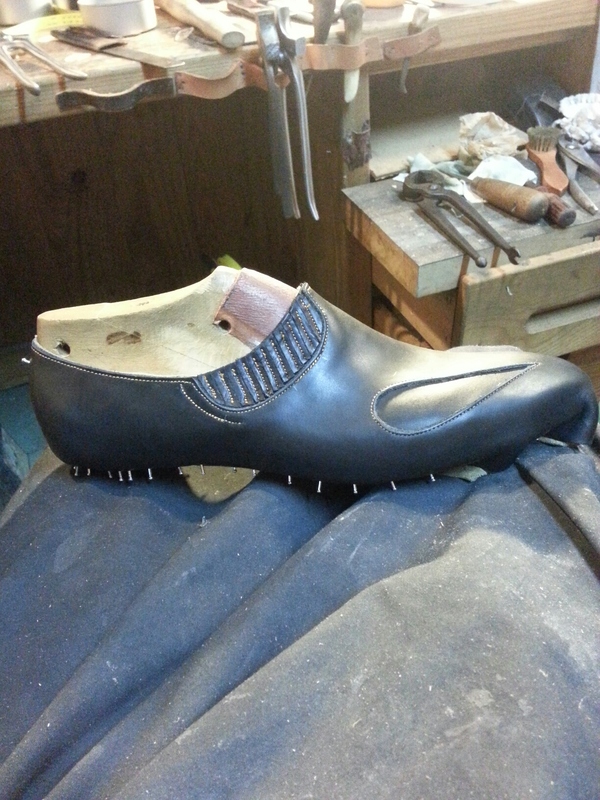 I make mine by using lower grade leathers and just doing cemented construction (no welts the uppers are only glued to the soles). Right now I have 3 out waiting for feedback and while minor adjustments are definitely visible hopefully nothing major will need adjusting. 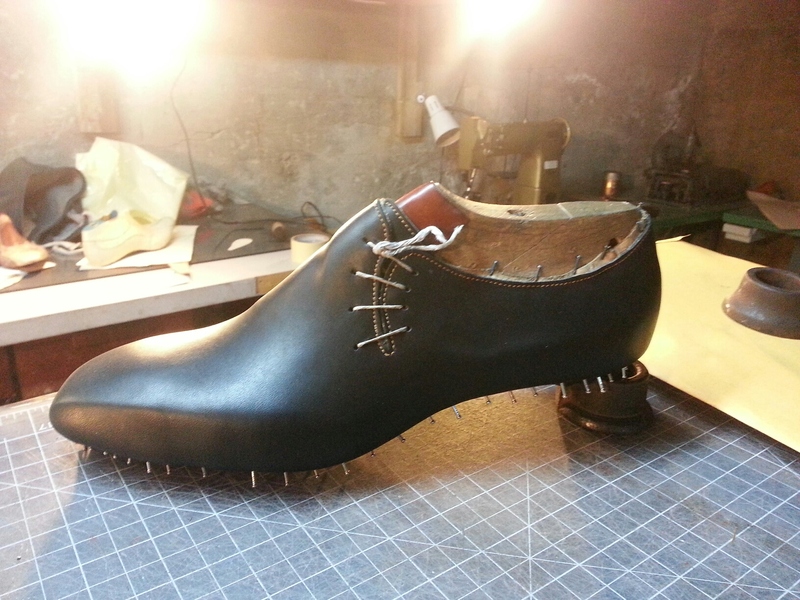 This entry was posted in Shoemaking. Bookmark the permalink.